The Abilities Expo was a humbling and eye opening experience. Being there as a consumer is one thing but being there and interacting and talking with public as an organization is a completely different experience. We found out some great information and found other organizations to work with. After talking with many people, we are definitely on the right track and Drive For Independence is a much needed organization. We are looking forward to more opportunities and want to grow and expand all over the country and we will definitely be pursuing our 501(c)3 status in the new year. We hope to attend the Abilities Expo in May and would definitely like to attend the DC Expo again. A big thank you to our sponsors Meeting Well and Mobility Works for making our trip possible and being able to share Drive For Independence in a new community! We look forward to what the new year will bring and the anticipation of future Abilities Expos! 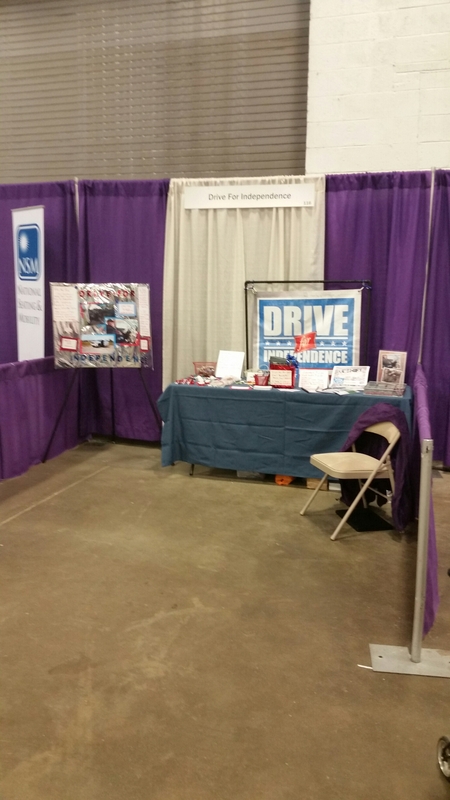 Come visit Drive For Independence in Booth 116. We are extremely excited to be there! We were invited to be a part of the Expo and cannot thank our sponsors, Meeting Well and MobilityWorks, enough for making this trip a reality! You’ve seen Chris test out the Mobility SVM truck at the New York/New Jersey Expo, here’s your chance to come see all the great products to make life easier! Best of all, Admission is FREE!!!!! 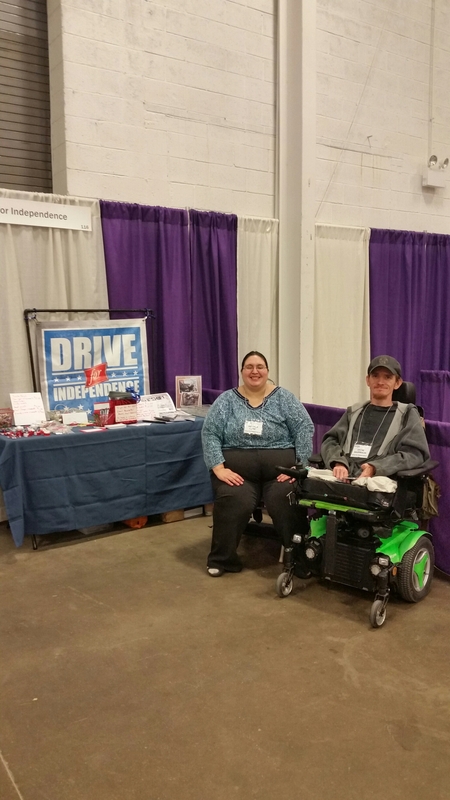 Drive for Independence @ the DC Abilities Expo!